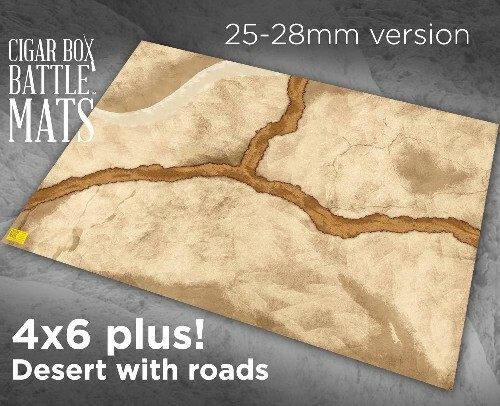 Cigar Box Battle Mats are not in stock, they are ordered specifically for you. Email us for an estimated delivery time. Qadesh, Cannae, Omdurman, El Alamein, etc. • 4x6 plus - approx. 56"x76"
• roads are approximately 3 inches wide. Use it both as a beautiful base for gaming and as a model to guide terrain placement.